Background/Info: I discovered the Mexican duo Devilsight by their official debut album “Luna” released in 2015 on Advoxya. “Rabia” rather appears to be a mini album featuring 7 new cuts plus 5 remixes. Content: I was already impressed by the “Luna” album and “Rabia” only holds on to the great work. This formation doesn’t bring anything new to dark-electronics, but has found the magic grimoire of dark-electronics. The sound is made of hard-pounding kicks, deep-resonating bass lines, sharp melodies and heavy distorted vocals. I also noticed a track with bewitching female backing vocals. Remixes have been made by DMT Berzerk, Amduscia, C-Lekktor, Brain Over Dust and Antibiosis. + + + : If you’re into (h)el(l)ectronic music Devilsight is a band you must already know and, which simply confirms its great potential. The songs are hard, powerful and danceable. The title song is a brilliant exposure from this ‘young’ band’s talent. The lead running through this cut is absolutely amazing. 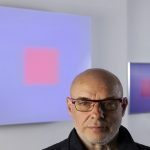 The opening track “This Is The Feeling Of My Hate” is another attention grabber and the single tracks that has been remixed by the other artists. 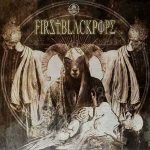 I’ve been totally seduced by the dark-poppy touch injected by DMT Berzerk while I also have to mention great contributions from 2 of the Mexican leaders in this music genre: Amduscia and C-Lekktor. – – – : If you’re in search of progressive dark-electronics this band is not for you! 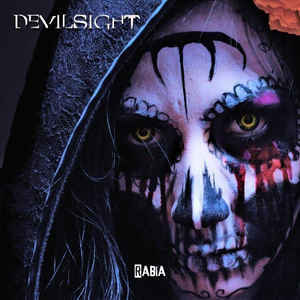 Devilsight is one of the numerous bands dealing with the usual dark-electro standards. I don’t care when it’s a great production and I like this band. The only little point Devilsight maybe has to reconsider is the vocal production, which is saturated by harsh, distorted effects. Conclusion: Devilsight still operates in the shadow of Mexican legend Hocico and some of their hottest followers C-Lekktor and Amduscia, but you better keep an eye on this band, which reveals a great talent. Best songs: “Rabia”, “This Is The Feeling Of My Hate”, “Destiny” + “This Is The Feeling Of My Hate – Special Remix by DMT Berzerk”, “This Is The Feeling Of My Hate – Special Remix by C-Lekktor”.